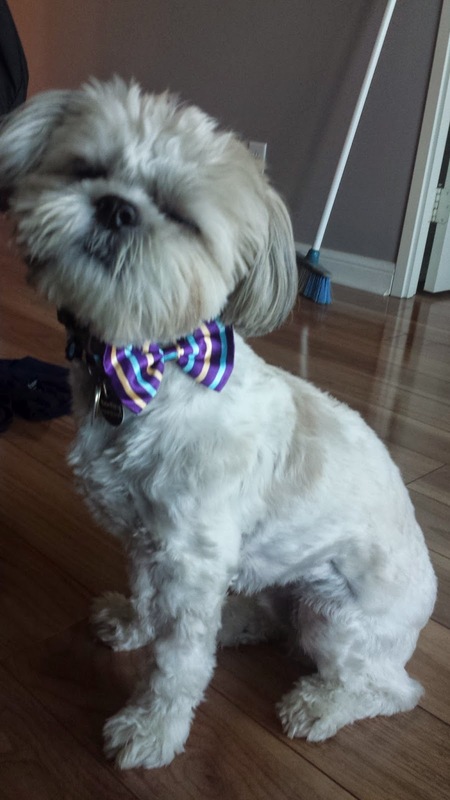 Bentley's Auntie and Uncle from Ottawa recently sent him a package of bow ties that we totally forgot to take picture of him with them on.. 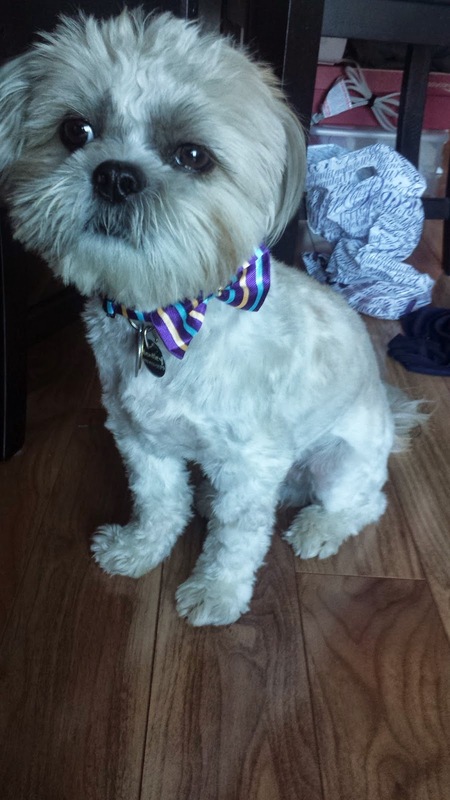 This morning, before he headed to work with hubs, I decided to put a bow tie on him and little fella was such a good sport - he always lets me put accessories on him. Actually, in the winter, he won't even head out of the house unleses he has a jacket on because poor fella is so cold... Hope you enjoy the adorable pics of my furbaby!